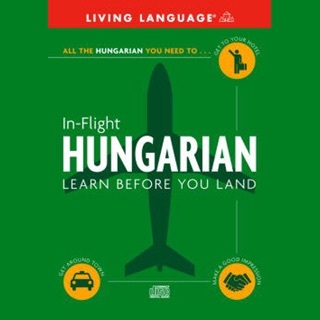 This Audiobook will take you through the basics of Hungarian with Basic Bootcamp, All About, and Pronunciation lessons. In the 15 All About lessons, you'll learn all about Hungarian and Hungary. Our native teachers and language experts will explain everything you need to know to get started in Hungarian, including how to understand the writing system, grammar, pronunciation, cultural background, tradition, society, and more - all in a fun and educational format! The five Pronunciation lessons take you step-by-step through the most basic skill in any language: how to pronounce words and sentences like a native speaker. You'll go from basic concepts to advanced tips and will soon sound like you've been speaking Hungarian your entire life.